I couldn't resist this little boat named "Goofy." It didn't look seaworthy, but that didn't stop it from being photogenic. It was steaming hot, mid-afternoon, and I tried to capture the feel of the heat beating down on the little abandoned boat. 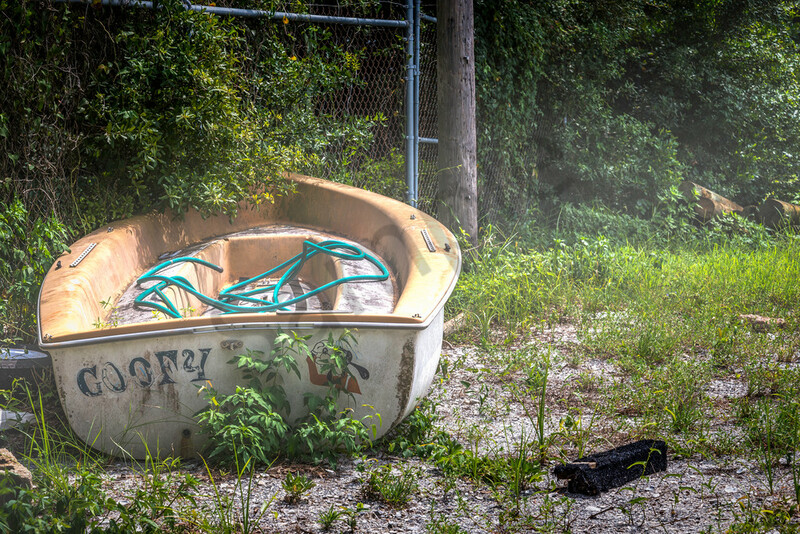 Even though the boat looks neglected and uncared for, there was something pretty about the scene. Maybe it's the way the green of the foliage surrounds the boat, but I was drawn in enough to want to capture some shots, even though I had to do it through a chainlink fence.